This is supporting material from our first book, Applied Software Project Management, which was published by O’Reilly in 2005. Say a project that started out as a small, stopgap utility has turned into a raging behemoth, sucking seemingly unlimited time from your programmers. Or the president of your company announced that your project will be done this week, even though you know that it still has an enormous number of bugs. Or your team delivered the software, only to have users complain that an entire feature is missing. Or every time the team fixes a bug, they seem to uncover a dozen more—including ones that you know were fixed six months ago. If you are a software project manager, you may recognize these problems (or similar ones) from your own career. Many software organizations have problems delivering quality software that is finished on time and meets the users’ needs. Luckily, most software project problems have surprisingly few root causes, and these causes are well understood. Solutions to these problems have been discovered, explained, and tested in thousands of software organizations around the world. These solutions are generally straightforward and easy to implement. However, they are not always intuitive to people who do not understand project management, and that makes them difficult to introduce. The goal of this book is to teach you about these solutions and help you integrate them into your own organization. 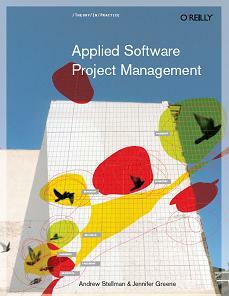 But this book is about more than just solutions to typical project problems. Every single technique, practice, and tool also helps establish an environment of trust, openness, and honesty among the project team, the management of the organization, and the people who will use or benefit from the software. By sharing all of your project information, both your team and your managers can understand your decisions, and they can see exactly why you made them. What makes software projects succeed? It takes more than a good idea and a team of talented programmers. A project manager needs to know how to guide the team through the entire software project. There are common pitfalls that plague all software projects and rookie mistakes that are made repeatedly-sometimes by the same people! Avoiding these pitfalls is not hard, but it is not necessarily intuitive. Luckily there are tried and true techniques any project manager can use. In Applied Software Project Management, Andrew Stellman and Jennifer Greene provide you with tools, techniques, and practices that you can use on your own projects right away. This book supplies you with the information you need to diagnose your team’s situation and presents practical advice to help you achieve your goal of building better software.